Since the arrival of touchscreen smartphones, smartphone vendors have been experimenting with touch gestures to replace physical buttons. webOS, Ubuntu Touch, and MeeGo have all used touch gestures in the past, and last year, Apple adopted touch gestures in iOS to replace the home button on the iPhone X. In the Android world, we are starting to see the adoption of touch gestures on a larger scale, with companies like Huawei and Xiaomi all aboard the bandwagon. It’s important to know that smartphone OEMs can only integrate touch gestures if they are sourced from the right suppliers. Most people probably haven’t heard of Qeexo, but the company’s FingerSense platform powers the Knuckle Gestures which are seen on Huawei/Honor phones. Qeexo is a developer of machine learning and AI solutions for sensor data, and today, the company announced a collaboration with STMicroelectronics (a semiconductor leader and a manufacturer of electronics applications) to accelerate integration of Qeexo’s FingerSense technology by OEMs. 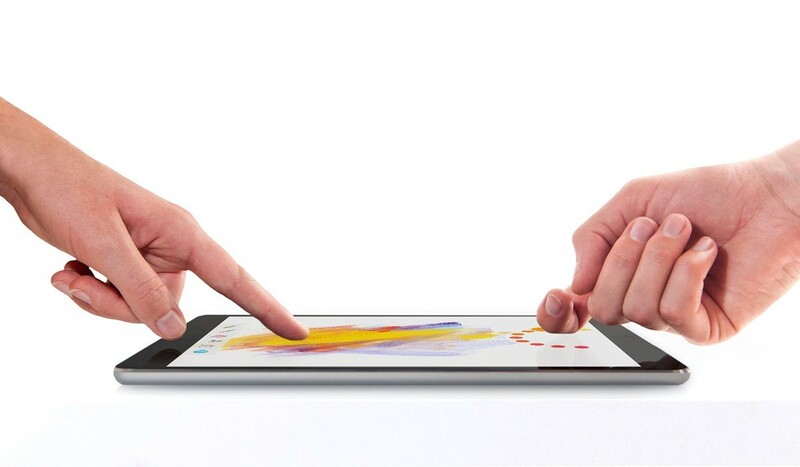 The company states that its FingerSense platform has already been deployed on over 100 million devices worldwide. FingerSense is Qeexo’s AI-powered touch platform, and it’s the world’s first software-only solution that can differentiate between fingertip, knuckle, nail and stylus-based touches. Its proprietary machine learning algorithms use sensor data from STMicroelectronics’ FingerTip multi-touch screen-control and MEMS sensor products in order to enhance the user experience of mobile devices. The press release also states that the two companies are exploring other opportunities to combine Qeexo’s machine learning (ML) expertise with STMicroelectronics’ MEMS sensors and touch controllers. It also adds that STMicroelectronics recently launched a new lineup of touchscreen controllers for next-generation smartphones with 19.5:9 flexible AMOLED displays that combine high performance and support for special features such as dedicated edge interactions, force touch sensing, multi-touch sensing in water, and “extremely low-power” operation. The company’s FingerTip technology is said to provide the “optimal mix” of low power, small size, and true multi-touch performance in a single-chip controller. It uses a high-performance “state-of-the-art” touch-sensing engine that can detect, classify, and track ten finger touches at once with fast response times. “Qeexo’s choice of ST as a preferred touch-screen controller and MEMS sensor supplier for FingerSense confirms our role in enabling the development of innovative applications that shape the way people interact with technology,” Benedetto Vigna, President of Analog, MEMS and Sensors Group, STMicroelectronics, stated. “The marriage of the cutting-edge capabilities of our latest touch controllers and MEMS sensors with Qeexo’s machine learning algorithms will bring new and enhanced functionalities along with an improved user experience to mobile users. Among the ST inertial MEMS sensors used by Qeexo solutions are an ultra-low power and high-accuracy 3-axis digital accelerometer, together with a 6-axis inertial module containing a 3-axis accelerometer and 3-axis gyroscope. According to ST, this module is preferred by many Android phone makers because of its embedded digital features and “extremely low” power consumption. Qeexo mentions that it will work with ST to collect sensor data to be used in the development of new lightweight machine learning products that can do ML directly on the devices (and not in the cloud) with the goal of improving the usability of products using touch. The collaboration between Qeexo and STMicroelectronics has the potential to bring smarter touch gestures to smartphones. A lot depends on the execution, but if it works well, it can take the user experience of smartphones to the next level. This article was updated at 6:34PM CST with more accurate information on the ST inertial MEMS sensors.